Very early start today, but we went almost all the way north in Glacier Bay. We saw some moose, on land, as well as lots of sea mammals and birds. The weather is rainy again, goes well with the landscape: we are anchored in front of a glacier. Pictures will follow later. 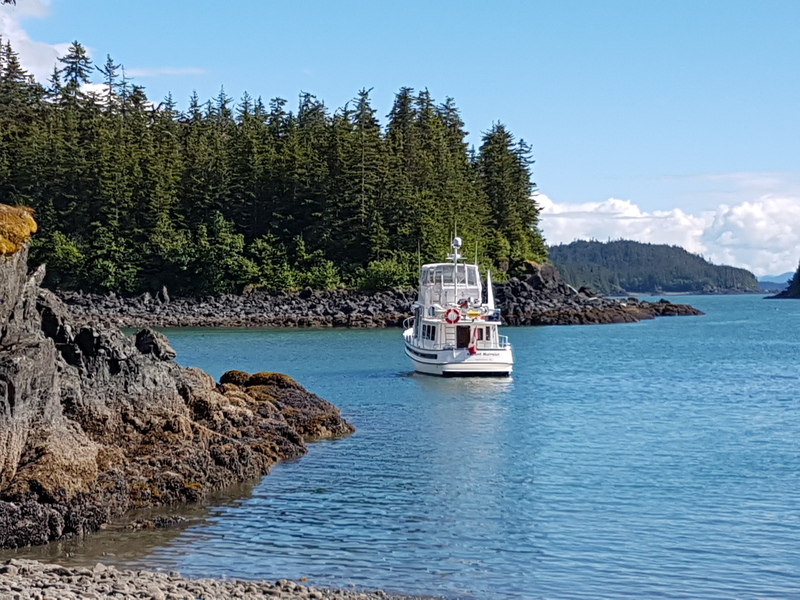 Last night we anchored in a pretty bay and today we came into Hoonah. 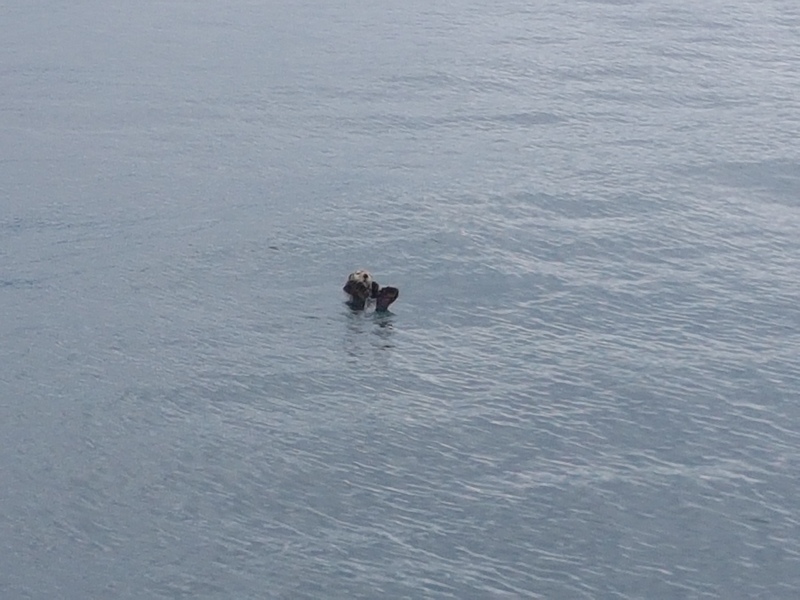 On the trip we saw humback whales, orcas, sea lions and for the first time, sea otters. They really just float on their backs in the ocean, minding their own business. Looked very cute! Heute war ein schön sonniger Tag und wir haben unsere Eisenbahnfahrt durch die einmalige Landschaft sehr genoßen. 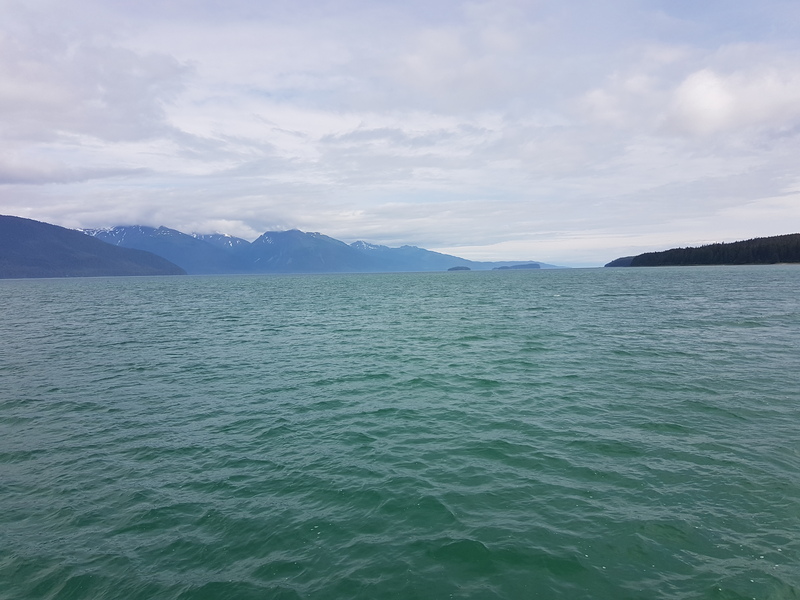 Am Nachmittag sind wir zu einem See oberhalb von Skagway gewandert. Only a short journey today, from Haines to Skagway. 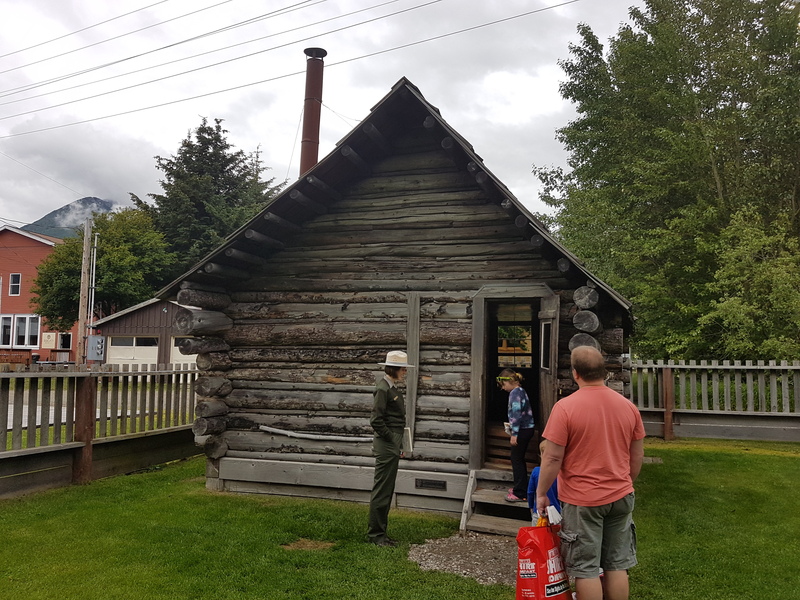 Both towns were trail heads for prospectors heading for the Klondike Gold Rush of 1896. From Haines the Chilkoot Trail started, from Skagway the White Pass Trail, on which a railroad was built later. We intend to take that into the Yukon tomorrow. Today we walked around town where there are still a few old buildings and a lot of cruise ship passengers. 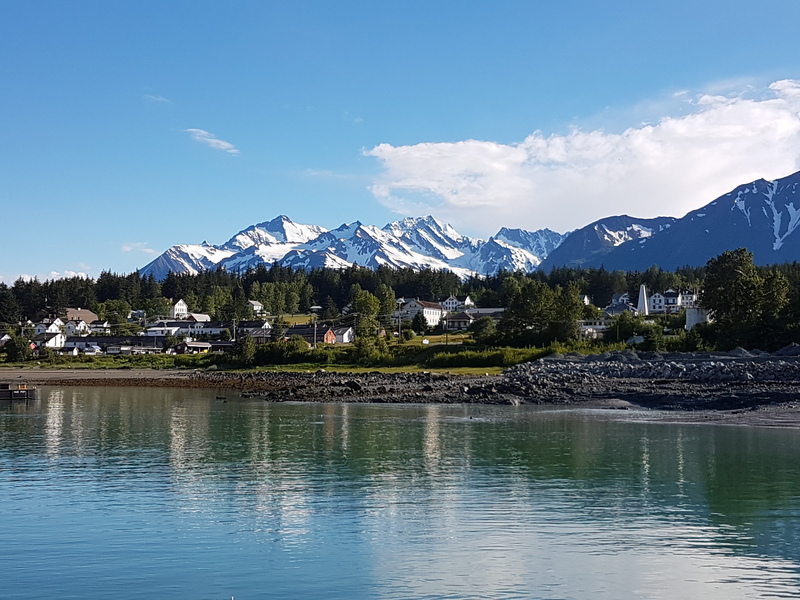 We are in Haines today, site of the first US army base in Alaska (1904, to keep the Canadians out). It is a very pleasant small town. Sheila visited the local hammer museum (2,000 hammers on show, 5,000 in storage!) and got her hair cut. I am enjoying the view from our aft deck. 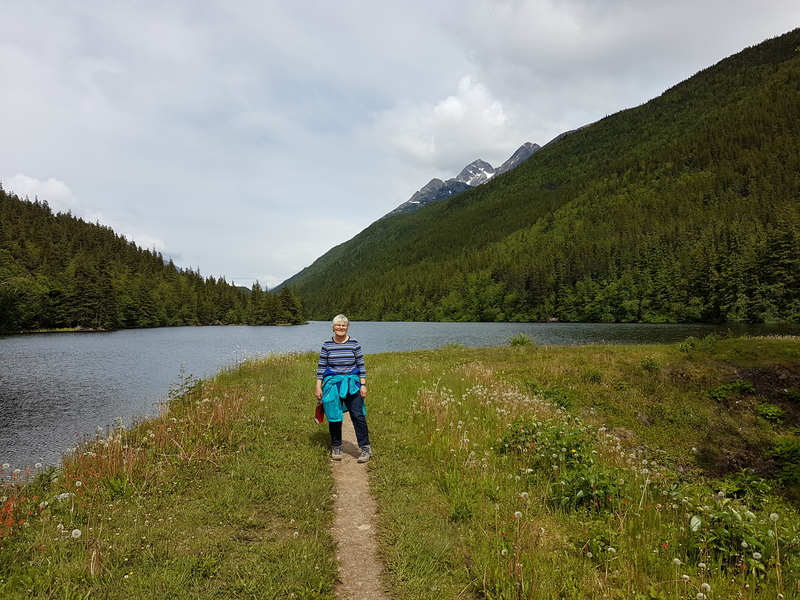 Andrea went back to Vancouver and we started our way to Skagway. Today we are anchored in Bridget Cove and went hiking in the park. The weather is warm and sunny, almost feels like summer. 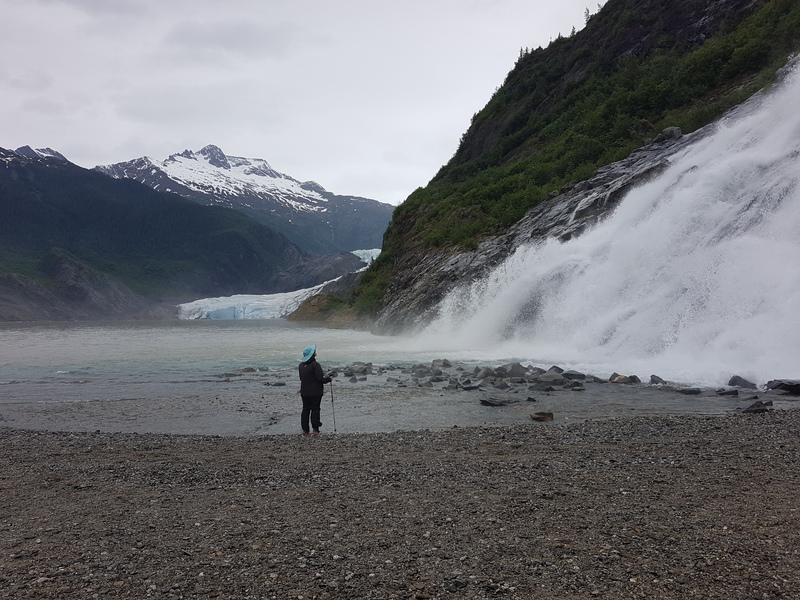 We took a long hike on both the East and West side of Mendenhall Glacier today. It was nice to stretch our legs after all the time on the boat.